Opening potential trade friction between the US and Mexico, a 90-day notice period has been given to Mexico by the US Commerce Department to withdraw from a 2013 trade deal. The six-year-old agreement to not pursue anti-dumping cases against Mexican tomato imports will open new potential friction between the two trading nations at a time when tariff increases on steel and aluminium imposed by the US are a point of tension between the trading nations. Reuters reported that while negotiating the North American Free Trade Agreement, US fruit and vegetable growers had lobbied the Trump administration to implement seasonal anti-dumping duties against Mexican fresh produce. 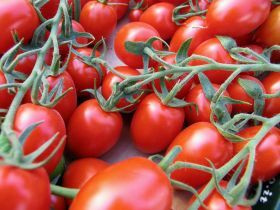 The requests were ignored when a deal was struck last October, but since then the tomato industry has petitioned the US Commerce Department to terminate the 2013 deal which allegedly had too many loopholes and ‘could not be enforced’. The Florida Tomato Exchange said Mexican tomatoes had increased US market share from 32 to 54 per cent between 1996 and 2017, while in the same period the market share for domestically grown tomatoes declined from 65 to 40 per cent. As well as halting anti-dumping cases, the 2013 trade deal secured a floor price on Mexican tomatoes. Two trade disputes have reportedly been avoided since the 1990s due to these laws.